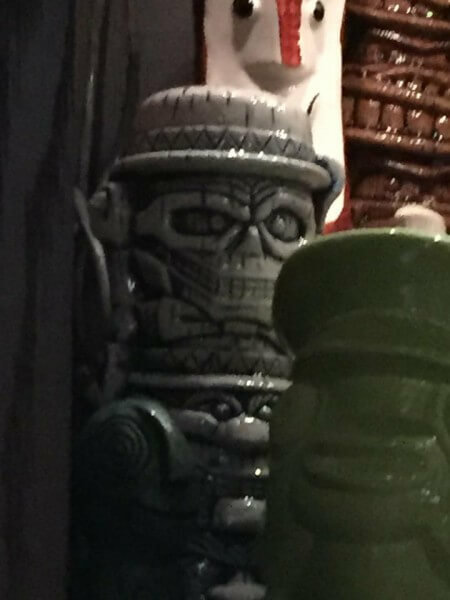 A lot of hubbub has been made this Halloween season about the exclusive Haunted Mansion Hitchhiking Ghosts tiki mug available (thus far) only at Disneyland Resort’s Trader Sam’s Enchanted Tiki Bar. The mug sold out on its first day of availability in Anaheim, and since then has fetched up to and over $200 in auctions on eBay. Although official Disney sources have told inquiring guests to stay tuned to see if the mug would become available for purchase again in Southern California before Halloween is over, there has been no word on the item possibly appearing in Walt Disney World. 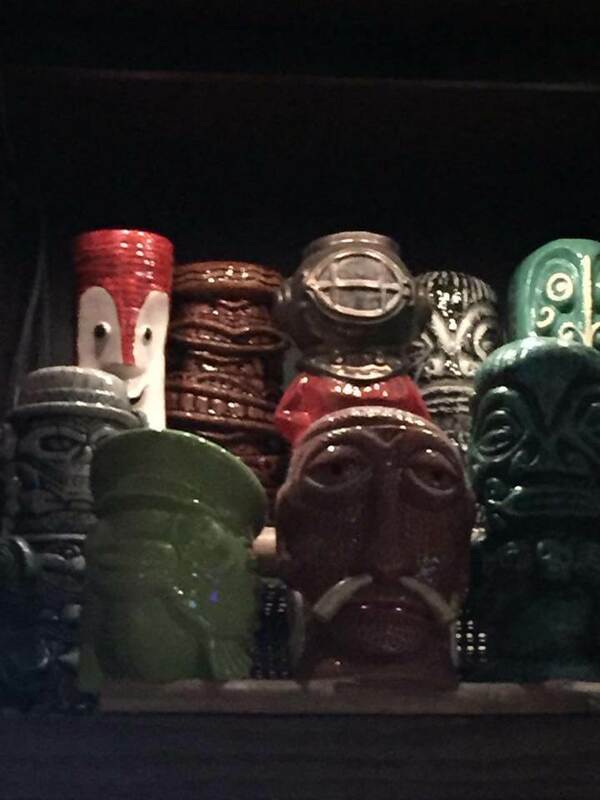 That is until now: this afternoon our reporter JeniLynn Knopp spotted the Hitchhiking Ghosts mug on a shelf inside Trader Sam’s Grog Grotto at Disney’s Polynesian Village Resort. So there you have it. 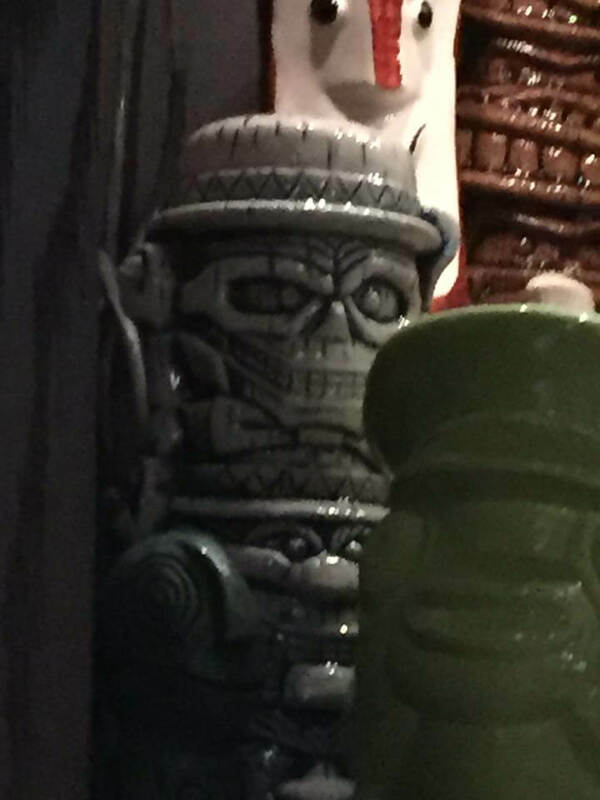 Hopefully the cast members in question hadn’t been given bad information and the highly sought-after mug will makes its way back into Trader Sam’s, and we’ll cross our fingers that it’s on both coasts this time.